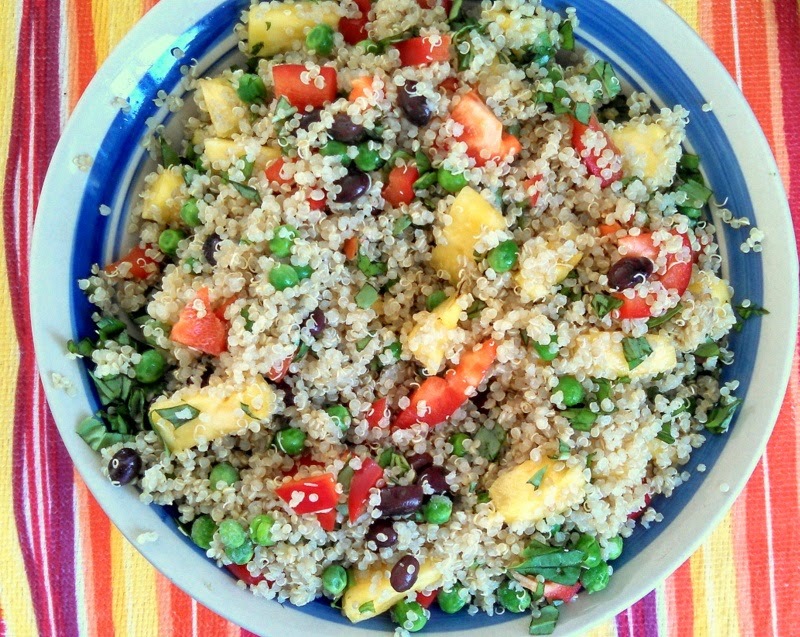 In my vacation meal planning post, I talked about this amazing quinoa salad that I made at the beach and promised to include the recipe on the blog. Well here it is! It’s wonderful on its own, but my boo loves to eat it along with baked breaded tofu and a few lime wedges, too. 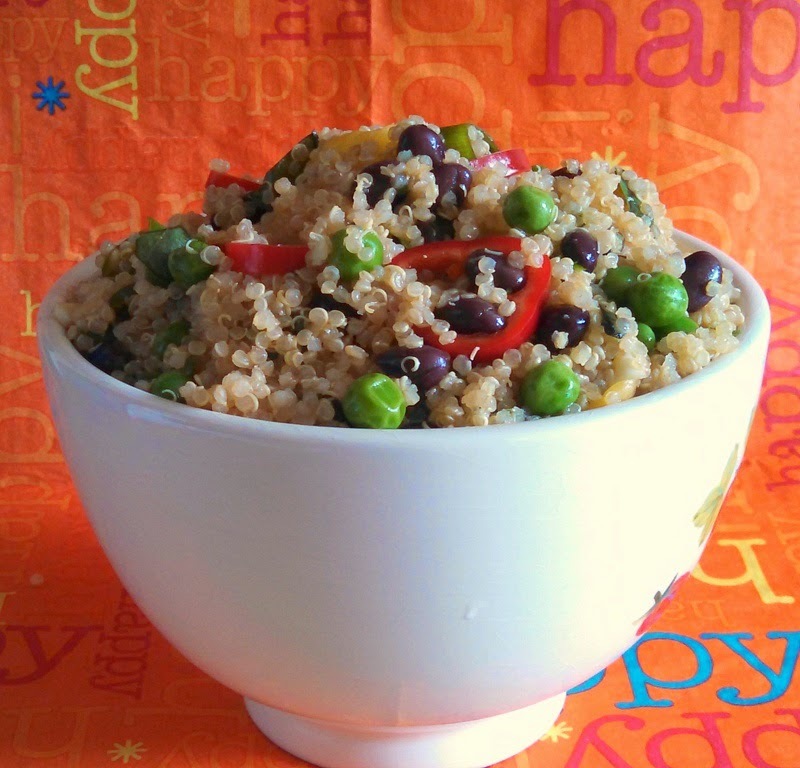 -Combine all of the salad ingredients in a large mixing bowl. -Whisk the dressing together in a small bowl and pour over the salad. Mix to incorporate. -For the best taste and to bring out the maximum flavor, cover and place in the fridge overnight. -Before serving the following day, be sure to give it a good stir. *For the pineapple juice, I juiced a fresh pineapple (this is a great way to use up the core). If you’re using canned pineapple for the recipe, you can use the juice from the can as long as it is 100% juice and not a sugar syrup. If neither of these options works for you, you can also use 1/3 cup of low sodium vegetable broth + a 1/2 Tbsp of coconut nectar (or maple syrup). **If you are an oil-free eater, you can leave the oil out of the recipe with little effect to the end product. The reason it is in the recipe is because it helps the dressing adhere to the salad ingredients rather than sink to the bottom of whatever container you’re using. If you do leave it out, store the quinoa salad in a shallow dish or bowl so that most of it will be immersed in the dressing.